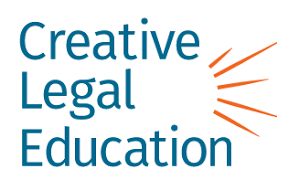 The NWSideBar, the blog from the Washington State Bar Association, recently posted about Creative Legal Education. The post's author, Vincent Humphrey, recounts his trials with friends and family members who solicit legal advice over Thanksgiving Dinner and writes, "I recently told this story during an interview for a filmed CLE video called Counsel Over Cocktails, and I got to reflecting: Did I handle this the right way? What could I have done better?" Counsel Over Cocktails is a one-hour CLE video that analyzes the ethical pitfalls of offering "informal" legal advice in social situations. Suppose you're out with friends on Saturday night when that person wearing a vest who's lurking in the corner sidles up with "Hey you're a lawyer right? I have this quick legal question..." We've all been there. Most find it annoying. (Can I stop working for 15 minutes please?!) But more importantly, for the unwary, the situation is an ethical minefield! Check out Counsel Over Cocktails today. And a special thanks to Washington's State Bar Association for spreading the love. Be Creative and not unawares! NWSidebar is published as a benefit for WSBA members and is not associated with Creative Legal Education, LLC. Vincent Humphrey manages Humphrey & Associates, which focuses on family law and civil litigation. His work ethic, congenial disposition, and uncompromising integrity allow him to help others in a genuine way. Vincent is a married father of three committed to serving those in need.